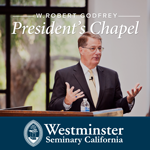 This collection features special President’s Chapels delivered by Westminster Seminary California President, Dr. W. Robert Godfrey. In these messages, Dr. Godfrey explores God’s truth as revealed in various biblical texts, focusing especially on the Psalms. 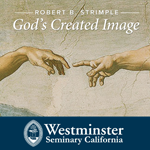 Dr. Robert B. Strimple, former President and Professor Emeritus of Systematic Theology at Westminster Seminary California, taught this classic course on the doctrine of man. Leading students through a close exegesis of Genesis 1 and 2, Dr. Strimple examines the distinctive features of man, the image of God, and faulty contemporary views of man. 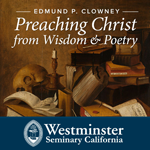 In this 1987 course, Dr. Edmund P. Clowney teaches Westminster Seminary California students the art of preaching Christ from wisdom literature and poetry. While some ministers are tempted to avoid these biblical genres or to preach them merely as helpful life principles, Dr. Clowney shows students how to preach Christ faithfully from these texts. WSC Morning Devotions is a free audio series of weekly chapel messages delivered by faculty and guests at Westminster Seminary California (WSC). This podcast is separate from the main WSC iTunes U page. 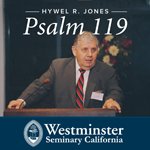 In 2003, Professor Emeritus of Practical Theology Hywel R. Jones began a series of lectures on Psalm 119, delivered at Westminster Seminary California. In this series, Dr. Jones closely examines each section of this unique chapter of the Psalms. Check back on this page later for more courses and resources!